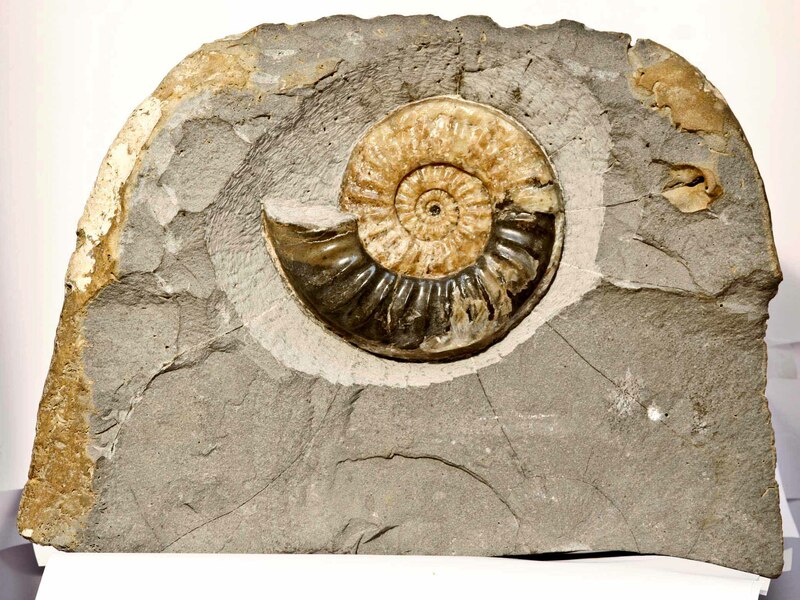 Asteroceras Obtusum ammonite from Lyme Regis on Dorset's Jurassic coast. Preserved in the original matrix and standing on a flat base. 180 million years old. 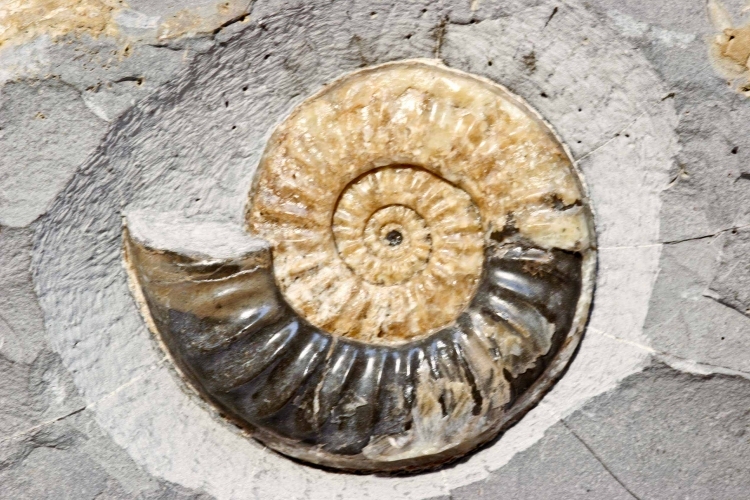 Ammonite is 13cms diameter.